BUILDING YOUR WEALTH AND REALIZING YOUR DREAMS ISN’T JUST A GAME …. The strategic thinking skills of chess can also be applied to the world of finance and investing. Thinking one step ahead and creating a detailed financial plan will bring you closer to your ultimate goal of building your wealth. 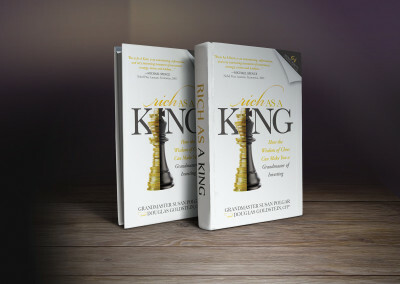 World chess champion Grandmaster Susan Polgar joined forces with international financial planner Douglas Goldstein, CFP®, to write Rich As A King, the ultimate personal finance book that teaches you to apply the strategies from chess to mastering your money. 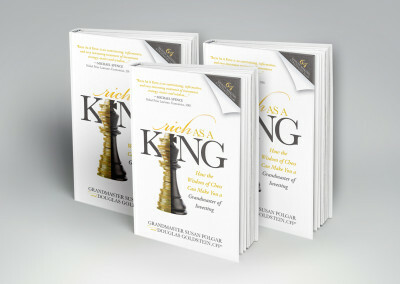 The book culminates in 64 specific steps to take to improve your finances. To share ideas for people who prefer audio, the authors have created a series of podcasts. 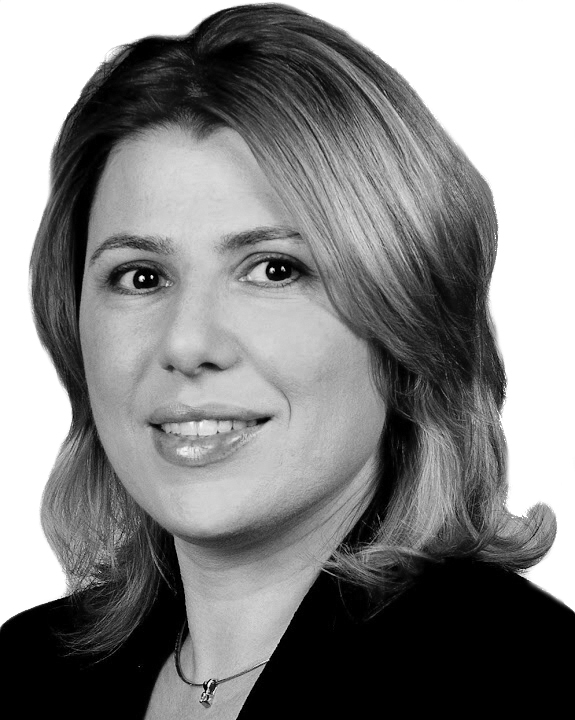 Susan Polgar is the co-author of Rich As A King: How the Wisdom of Chess Can Make You a Grandmaster of Investing. 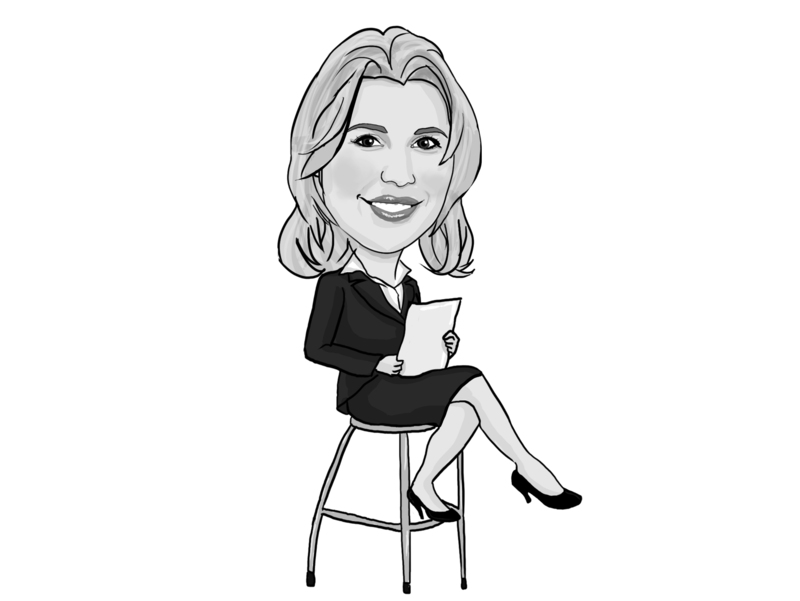 She’s a chess grandmaster, former world chess champion, and coach of the #1 collegiate chess team in America, which won the last four straight Final Four National Championships. Five-time Olympic Champion, never once losing a game. First woman to earn the coveted “Grandmaster” title. At the age of 15, she became the top-ranked woman player in the world, and remained ranked in the top three for nearly 25 years. 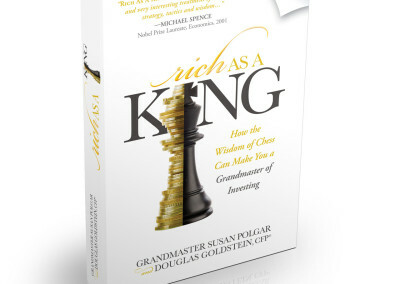 Douglas Goldstein is the co-author of Rich As A King: How the Wisdom of Chess Can Make You a Grandmaster of Investing. 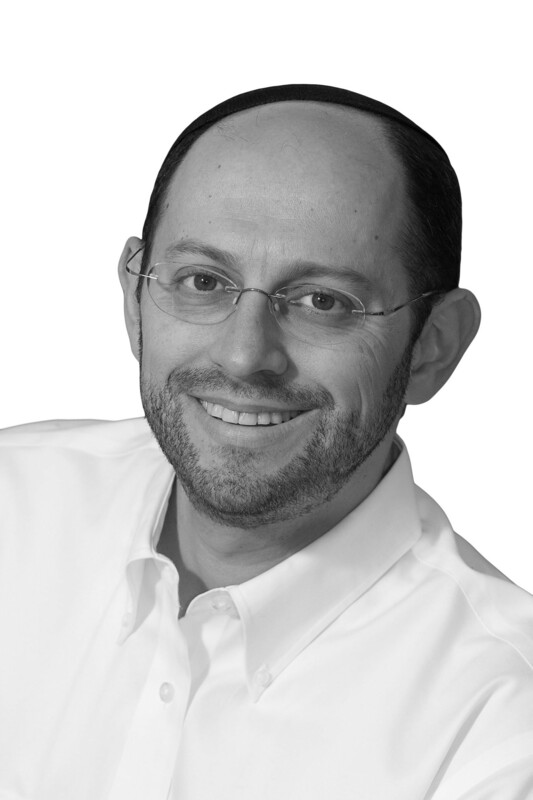 He’s a Certified Financial PlannerTM, a college lecturer, and radio show host. 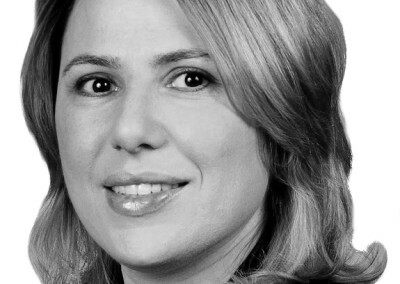 Head of a major, international financial services company. Written four books and offers weekly advice in the newspaper. How can playing chess make someone a better decision maker? Can knowing chess strategies really make you a better investor? What was the greatest obstacle you faced on your path to becoming world champion? As someone who was homeschooled, do you think that’s the right path for children? Do chess players make good businesspeople? What chess strategies have you used off the board that have helped you? 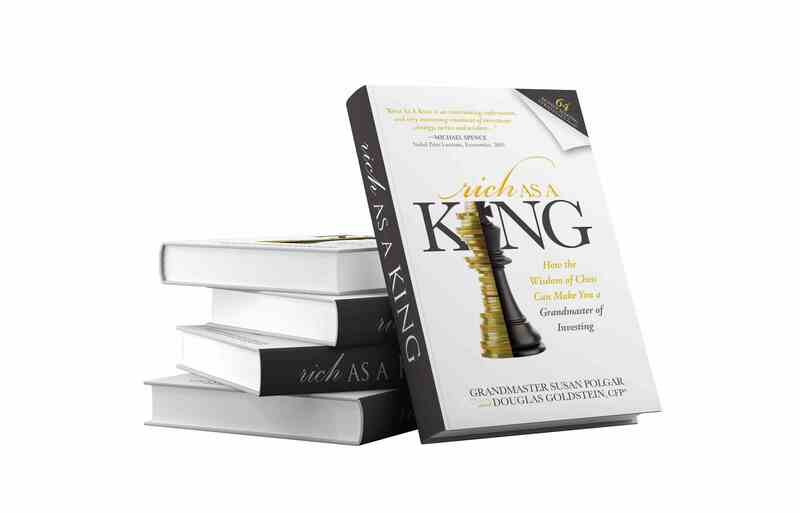 In Rich As A King, you tell the story of someone threatening your life if you played for the American team. What was that like? How many moves ahead do you think when you play chess? What made you see the connection between chess and money? 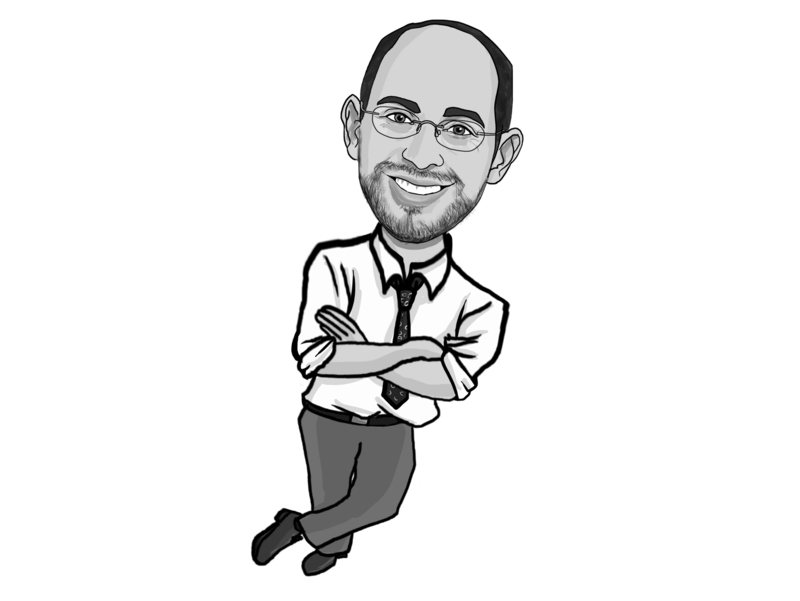 What’s the most important investment lesson that someone can learn from chess? You write that using a mutual fund or money manager is like having a grandmaster handle your portfolio. Shouldn’t investors just buy an index fund and hold it for many years? 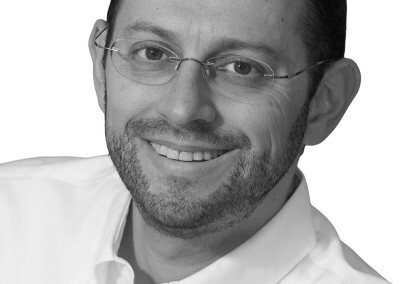 Given the huge uncertainty in the economy, do any of the old strategies still apply? How should people invest their money right now? How should individuals invest small amounts of money? What are the biggest concerns that retirees have these days? 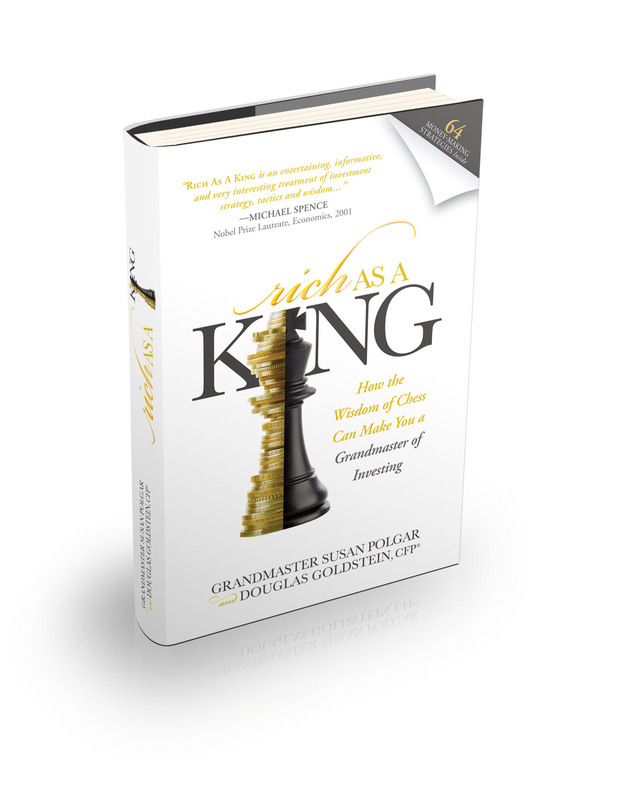 What chess tactics can people use to make money in the stock market? 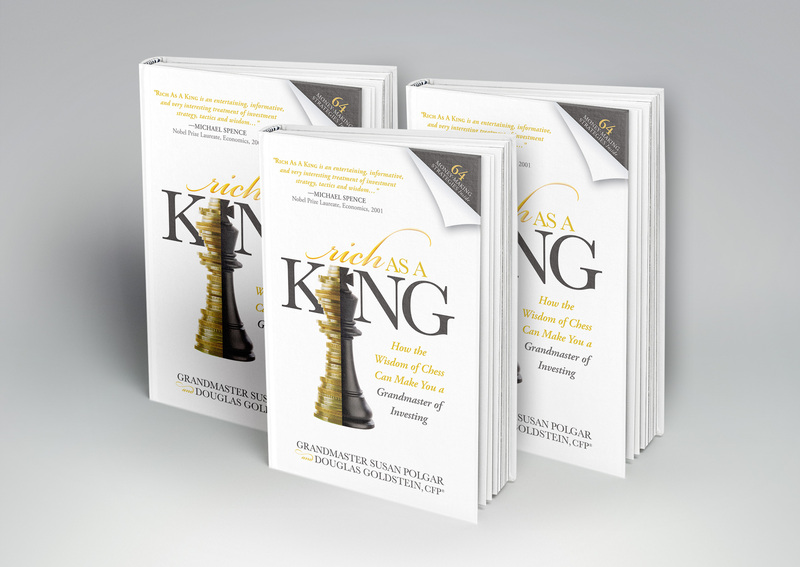 The whole core of the book is based on using chess strategies to help people make strategic decisions about their own personal finances. 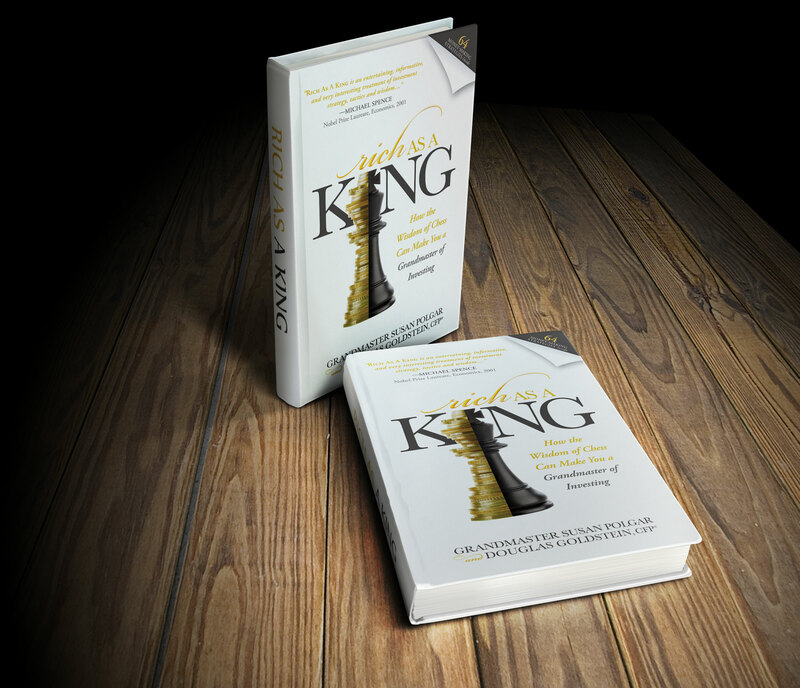 The beginning of the book shows the psychological barriers that stop both chess players and investors from succeeding. It’s based heavily on the research of Nobel Prize Winner Daniel Kahneman, who wrote the best-selling book, Thinking, Fast and Slow. Susan and Doug met with Kahneman, spoke to him several times about the book, and even got his review and comments about the ideas in Rich As A King. 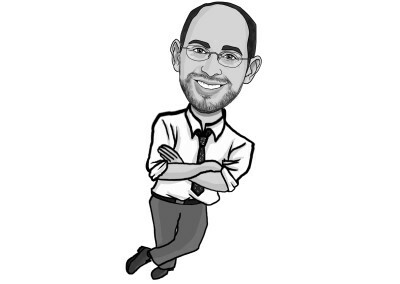 The section segues into an in-depth discussion of financial planning. It promotes the “6-step” process which is followed by Certified Financial Planners. It also discusses when and how to use computers for handling investments and designing plans. The next part of the book covers budgeting, dealing with money within a family, avoiding debt, and developing systems for saving money. The third part of the book focuses on specific investments, including stocks, bonds, and mutual funds. 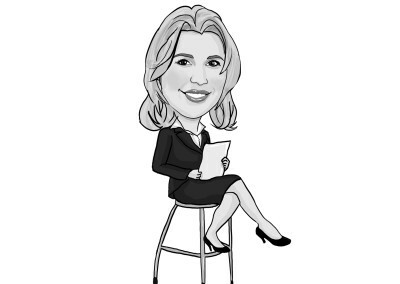 Each investment category gets a thorough review, and the readers learn both the pros and cons of each type of investment. 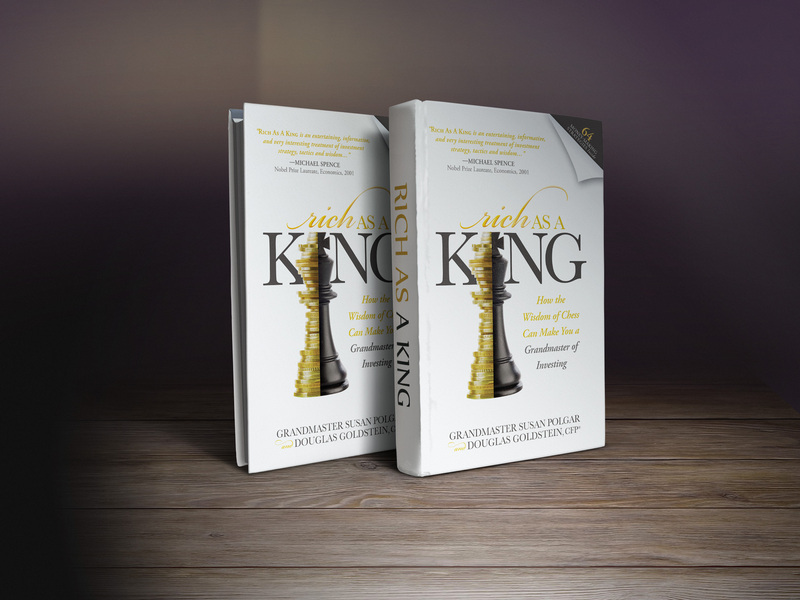 The final section of the book, “64 Strategies to Make You Rich as a King,” takes 64 chess strategies – one for each square on the board – and applies them to specific financial situations. This section is the most exciting, and each idea is clear and concise, making it fun for the reader to go from one strategy to the next picking up gems of financial wisdom. 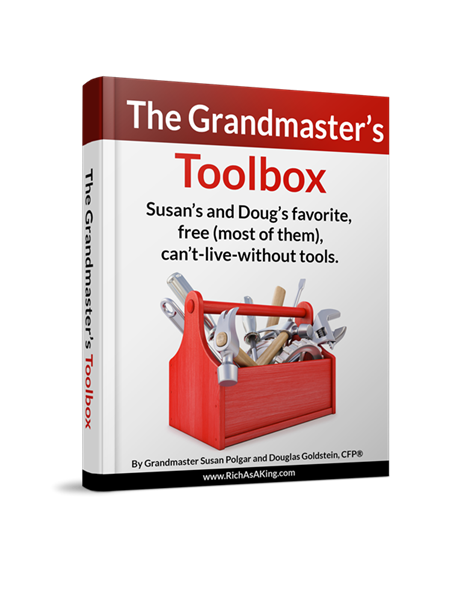 Free copy of Susan and Doug’s e-book, The Grandmaster’s Toolbox. 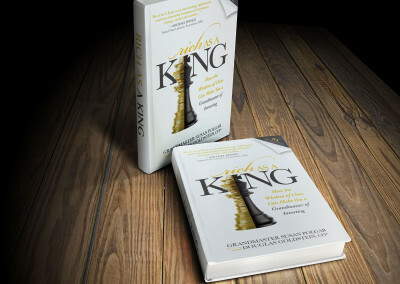 This book is available to people who sign up for the Rich As A King newsletter on the homepage, www.RichAsAKing.com. It includes all of the fun and valuable online resources that Susan and Doug use every day to strategically manage their businesses and their busy schedules.